Wondering what is FRAM (Ferroelectric RAM ) or what is FRAM used for? Short answer is that FRAM is predominately used for low power, lower density applications such as security cards, smart cards and RFID cards. 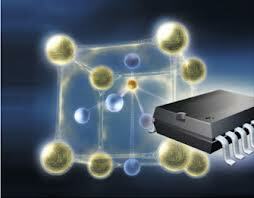 The technology is also being incorporated as part of processor core silicon for program or data storage. FRAM operates similar to other RAM technologies, with the advantage of being a non-volatile (NV) memory. It generally has faster access times than other NV memory like FLASH or EEPROM, lower overall power consumption and a much higher number of lifetime read-write cycles. For comparison to FLASH memory, FRAM is up to 500x faster for writing, 2,500x less energy used and 10,000x endurance. As with other NV technologies, FRAM does not require external power or battery back up to retain its memory settings. These features are what make it ideal for small, embedded applications – especially contactless cards and near-field communication (NFC) devices. The drawback is that FRAM doesn’t have the memory density found in other technologies, only 2MB to 4MB compared with 256GB Flash chips. It’s due to it’s fabrication process that it also has a higher cost-per-bit in comparison to FLASH. Hobbyist and Arduino developers can pick up a low-cost module to test our FRAM. Amazon has the FM24ClCXX FRAM Board with I2C Interface, from CQRobot, for under $10. The science behind FRAM is a silicon structure containing a thin ferroelectric film of lead zirconate titanate [Pb(Zr,Ti)O3], commonly referred to as PZT. The Zr/Ti atoms in the PZT change polarity in an when exposed to an electric field. Since there are only two possible polarities, this implements a binary storage cell. The non-volatility comes from, and long term data retention are due to, the PZT crystal maintaining polarity in the absence of an electric field. The two dominant vendors for FRAM are Ramtron and Fujitsu . Do You Have A Billion Dollar Tech Idea ?